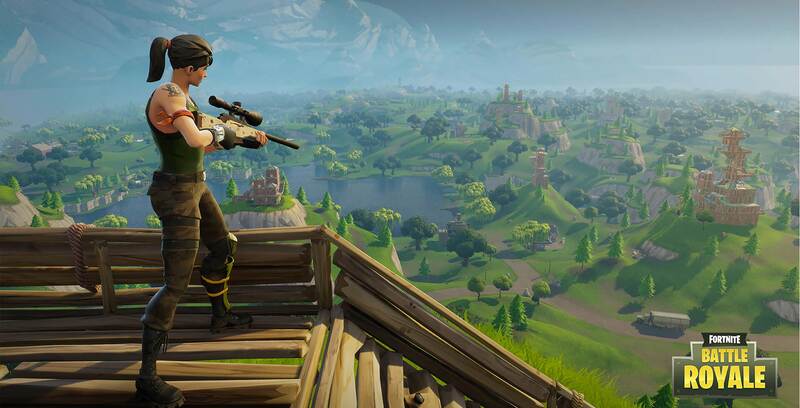 If you were thinking that perhaps battle royale shooter Fortnite’s popularity was beginning to wane, you’re very wrong. The iOS version of the game hit the App store through an invite-only beta earlier this month, and only launched to the general public earlier this week. 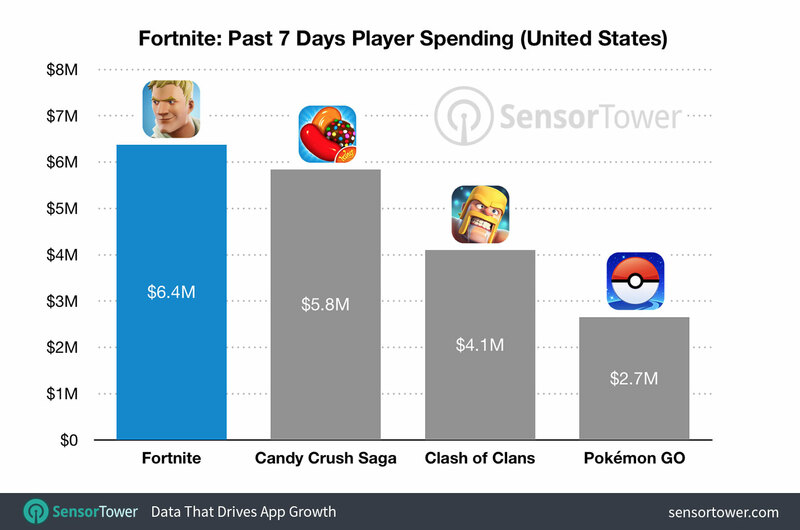 Now, app analytics tracking firm Sensor Tower is reporting that the free-to-play mobile game has earned over $15 million USD in less than a month though in-app purchases. On the day when the invite-only requirement was removed, the average daily spend increased from $620,000 to over $1.8 million in a single day. The game’s revenue also jumped significantly when a limited-time starter pack that included a free skin and discounted in-game currency was released. 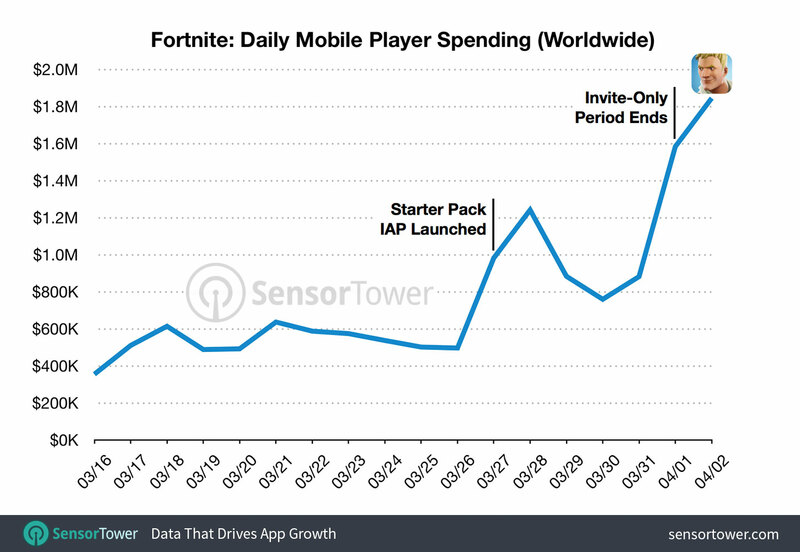 Just a few weeks ago, Sensor Tower reported that Fortnite managed to earn $1 million in just its first three days in the App Store. Fortnite is cross-play compatible on the PC, Mac, PS4 and mobile devices. Xbox One players are able to game with PC, Mac and mobile players, but not the PlayStation 4. Fortnite is set to make its way to Android devices in the future but a specific release date hasn’t been announced yet. The game is currently available in the iOS App Store.